Match ends, Rochdale 1(4), Sunderland U23 1(2). Penalty Shootout ends, Rochdale 1(4), Sunderland U23 1(2). Goal! Rochdale 1(4), Sunderland U23 1(2). Sanmi Odelusi (Rochdale) converts the penalty with a right footed shot to the centre of the goal. Goal! Rochdale 1(3), Sunderland U23 1(2). Rees Greenwood (Sunderland U23) converts the penalty with a right footed shot to the bottom right corner. Penalty saved! Harrison McGahey (Rochdale) fails to capitalise on this great opportunity, right footed shot saved in the bottom left corner. Penalty saved! Thomas Robson (Sunderland U23) fails to capitalise on this great opportunity, left footed shot saved in the bottom left corner. Goal! Rochdale 1(3), Sunderland U23 1(1). Joe Bunney (Rochdale) converts the penalty with a left footed shot to the centre of the goal. Goal! Rochdale 1(2), Sunderland U23 1(1). Jan Kirchhoff (Sunderland U23) converts the penalty with a right footed shot to the bottom right corner. Goal! Rochdale 1(2), Sunderland U23 1. Joseph Rafferty (Rochdale) converts the penalty with a right footed shot to the bottom right corner. Penalty missed! 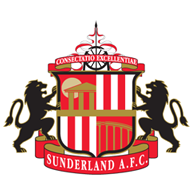 Bad penalty by George Honeyman (Sunderland U23) right footed shot is too high. George Honeyman should be disappointed. Goal! Rochdale 1(1), Sunderland U23 1. Steve Davies (Rochdale) converts the penalty with a left footed shot to the bottom left corner. Penalty Shootout begins Rochdale 1, Sunderland U23 1. Second Half ends, Rochdale 1, Sunderland U23 1. Attempt missed. Sanmi Odelusi (Rochdale) right footed shot from outside the box is too high. Max Stryjek (Sunderland U23) wins a free kick in the attacking half. Corner, Sunderland U23. Conceded by Harrison McGahey. Attempt saved. Callum Camps (Rochdale) right footed shot from outside the box is saved in the top centre of the goal. Substitution, Sunderland U23. Luke Molyneux replaces Elliot Embleton. Substitution, Rochdale. Sanmi Odelusi replaces Ian Henderson. Foul by Rees Greenwood (Sunderland U23). Ian Henderson (Rochdale) hits the right post with a right footed shot from outside the box. Corner, Rochdale. Conceded by Michael Ledger. Andrew Nelson (Sunderland U23) is shown the yellow card for a bad foul. Foul by Andrew Nelson (Sunderland U23). Substitution, Sunderland U23. Andrew Nelson replaces Josh Maja. Thomas Robson (Sunderland U23) wins a free kick on the right wing. Jan Kirchhoff (Sunderland U23) wins a free kick in the defensive half. George Honeyman (Sunderland U23) wins a free kick in the defensive half. Ethan Robson (Sunderland U23) wins a free kick on the left wing. Corner, Sunderland U23. Conceded by Steve Davies. Corner, Sunderland U23. Conceded by Niall Canavan. Attempt blocked. Steve Davies (Rochdale) right footed shot from the centre of the box is blocked. Substitution, Rochdale. Steve Davies replaces Peter Vincenti. Foul by George Honeyman (Sunderland U23). Attempt saved. 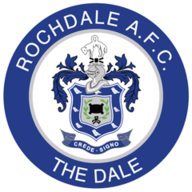 Peter Vincenti (Rochdale) header from the centre of the box is saved in the centre of the goal. Corner, Rochdale. Conceded by Jason Denayer. Corner, Rochdale. Conceded by Josh Robson. Jan Kirchhoff (Sunderland U23) wins a free kick in the attacking half. Goal! Rochdale 1, Sunderland U23 1. Ian Henderson (Rochdale) left footed shot from the centre of the box to the bottom right corner. Assisted by Jamie Allen with a cross following a set piece situation. Jason Denayer (Sunderland U23) is shown the yellow card for a bad foul. Foul by Jason Denayer (Sunderland U23). Delay in match Josh Maja (Sunderland U23) because of an injury. Goal! Rochdale 0, Sunderland U23 1. Elliot Embleton (Sunderland U23) left footed shot from outside the box to the bottom left corner. Assisted by Jan Kirchhoff. Corner, Rochdale. Conceded by Ethan Robson. Second Half begins Rochdale 0, Sunderland U23 0. First Half ends, Rochdale 0, Sunderland U23 0. Corner, Rochdale. Conceded by Josh Maja. Attempt missed. Jason Denayer (Sunderland U23) header from the centre of the box is close, but misses to the right following a set piece situation. George Honeyman (Sunderland U23) wins a free kick on the left wing. Corner, Sunderland U23. Conceded by Josh Lillis. Attempt saved. George Honeyman (Sunderland U23) left footed shot from outside the box is saved in the top centre of the goal. Attempt missed. Peter Vincenti (Rochdale) header from the right side of the six yard box misses to the right following a corner. Attempt saved. Callum Camps (Rochdale) right footed shot from outside the box is saved in the bottom left corner. Foul by Michael Ledger (Sunderland U23). Foul by Jan Kirchhoff (Sunderland U23). Ethan Robson (Sunderland U23) wins a free kick in the defensive half. (Sunderland U23) wins a free kick in the defensive half. Attempt saved. Callum Camps (Rochdale) right footed shot from the centre of the box is saved in the centre of the goal. Rees Greenwood (Sunderland U23) wins a free kick in the defensive half. Jan Kirchhoff (Sunderland U23) wins a free kick on the right wing. Attempt missed. Ian Henderson (Rochdale) right footed shot from the centre of the box is close, but misses to the right. Attempt saved. Matthew Lund (Rochdale) right footed shot from the right side of the box is saved in the centre of the goal. Foul by Ethan Robson (Sunderland U23). Attempt missed. Joe Bunney (Rochdale) header from the centre of the box is close, but misses to the right. Ethan Robson (Sunderland U23) wins a free kick in the attacking half. Attempt saved. Peter Vincenti (Rochdale) header from the centre of the box is saved in the top left corner.